Where can I find hotels in Yale that are near tourist attractions? 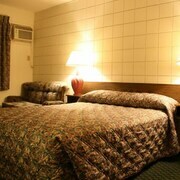 Yale only has one Expedia-listed hotel so if you are looking to stay nearby it is best to book early. 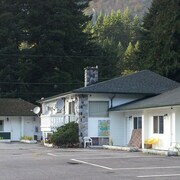 The Fort Yale Motel is one of the most conveniently situated accommodation options as it is one of only a small number of options that is within walking distance of the Yale center. 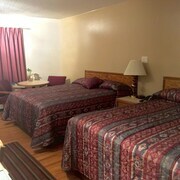 The Travelodge Hope is situated 20 kilometres (13 miles) from downtown Yale. 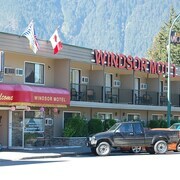 Another accommodation option is the Windsor Motel, which is positioned 20 kilometres (12 miles) away. 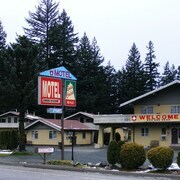 Another option is to book the The 3 - Bees B & B or the Fort Yale Motel. After you have enjoyed Yale, why not take the time to explore the other attractions in the Vancouver Coast area. Spend time at Vancouver Coast's old towns and fortresses and photograph its forests. Locals and visitors alike in this region of Canada often enjoy snowboarding and skiing. Looking for things to do? Spend a few hours visiting Hope Golf Club and Kawkawa Lake Park, which you'll find in Hope, 20 kilometres (13 miles) to the south of Yale. 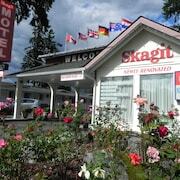 Should you wish to spend a few nights in Hope, check out the Slumber Lodge Motel and Skagit Motor Inn. 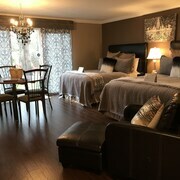 Alternatively, you could stay in Chilliwack, 60 kilometres (36 miles) to the southwest of Yale, where you can pick from the Coast Chilliwack Hotel and Comfort Inn. If you stay in Chilliwack, a couple of sights worth adding to your itinerary are the Chilliwack Golf and Country Club and Cottonwood Shopping Mall. If enjoying sport is what you love, head to Prospera Centre, which is 60 kilometres (37 miles) to the southwest of Yale. 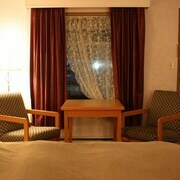 Book accommodation close to the action at the Hampton Inn by Hilton Chilliwack or the Best Western Rainbow Country Inn. Situated 90 kilometres (57 miles) away from Yale is Abbotsford International Airport. 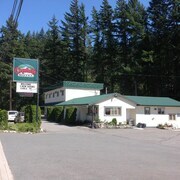 Stay nearby at Abbotsford Hotel or Brookside Inn. What are the most popular Yale hotels? Are there hotels in other cities near Yale? What other types of accommodations are available in Yale? Explore Yale with Expedia.ca’s Travel Guides to find the best flights, cars, holiday packages and more!